The exhibition at the Museum of Old and New Art, Tasmania, entitled Private Archaeology, explores how Abramović has reduced and refined her work over a forty-year career, to focus on a central, unifying ideology: what she calls 'the art of the immaterial'. This involves the use of objects and simple rituals – either by the audience or the artist herself – to transport us to full consciousness of the present moment. 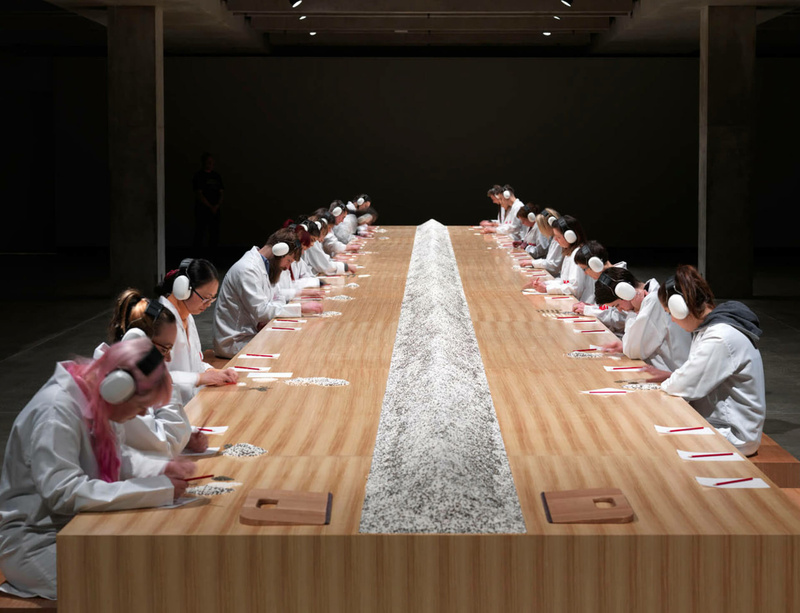 It includes sound, photography, video and installation works from the full spectrum of her artistic output: from her solo performances of the 1970s, 80s and 90s to ground-breaking work with former partner Ulay, as well as new Transitory Objects works and exercises such as Counting the Rice, where you can experience for yourself 'the Abramović Method'. At Kaldor Public Art Projects, Abramović and her team will be onsite at Pier 2/3 for 12 days, to lead a series of transformative experiences that will shift focus, challenge perceptions and change the way we look at art. Positioned just beneath the Sydney Harbour Bridge and around the corner from Sydney Opera House, the vast Walsh Bay Pier will become a pop-up gallery venue, housing Abramović's extraordinary project, an artists’ residency program and ongoing public talks and special events.